Vitamin D is necessary for healthy construction of bones and teeth. Until your child is 4 years old, it needs extra vitamin D. It does not matter if you are breastfeeding or bottle feeding. Vitamin D is created in the skin under the influence of sunlight. 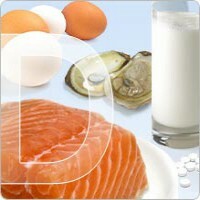 Vitamin D is also in the diet (fatty fish and dairy products). It has been found that babies are usually deficient. For this reason, the advice is given to give a daily dose of 10 micrograms of vitamin D to infants aged 14 days to children aged 4 years. Adults can also have a vitamin D deficiency. A deficiency of vitamin D can weaken the bones and affect your mood (depression).